Sandy Henshaw has been named the 2019-2020 assistant principal for Kearney High School (KHS). Henshaw is currently the executive director for the Northland Center for Advanced Professional Studies (Northland CAPS). She has spent nearly four years with Northland CAPs, a program that provides high school students the opportunity to learn through full immersion in real-world businesses. Henshaw began her career in education in 1990 when she became a high school Family and Consumer Science teacher and basketball and track coach with the Raymore-Peculiar School District. Over the past 30 years, Henshaw has worked with students of all ages. Her educational roles include parent educator for early childhood education, high school counselor, high school administrator and high school education advisor at DeVry University. Prior to her current role with Northland CAPS, Henshaw was the director for the Smithville Individual Learning Center in the Smithville School District. Her work experience with students of varying ages as well as her extensive work with high school students will be a valuable addition to the Kearney School District. Henshaw attended Northwest Missouri State University where she earned a Bachelor of Science in Vocational Home Economics degree. She also holds a Master of Education in School Counseling and continued her education at Northwest where she received a Specialist in Education degree. In 2018, she received the Missouri Chamber of Commerce Education Innovator of the Year award, and she was also honored with the Tradition of Excellence award for her work in the Smithville School District. Henshaw will start her new role at the beginning of the 2019-2020 school year. 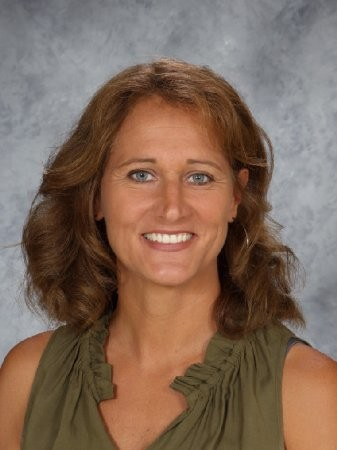 She replaces Laura Hartman, who recently accepted a position as the assistant principal at Kearney Junior High School.